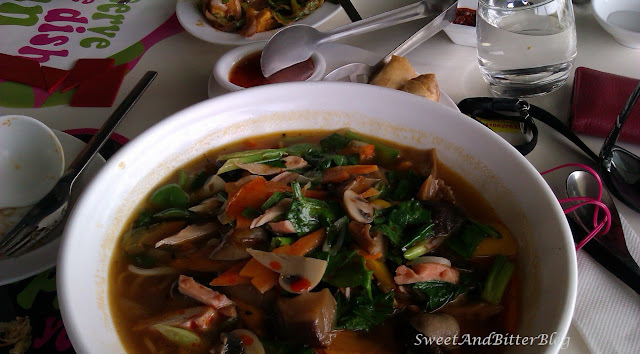 I also had this thing which had loads of mushrooms (I do not eat mushrooms!) inspired by the two Chinese Korean Japanese I-do-not-know-which-county-but-surely-not-north-east-Indian guys who were having the same.......yes my entire order was based on Whats-on-other-people's table.....(I hope it counts as normal....fingers crossed...ohh wait I ordered Spring rolls as well...relieved!). 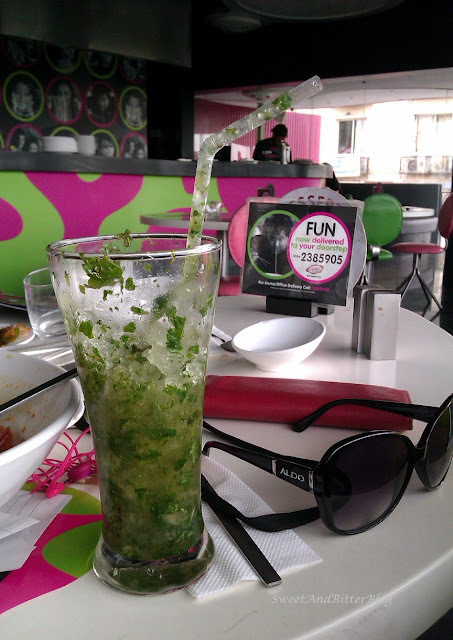 But I loved the mint drink and I realized how wonderful mint is for summer and there are no Crazy Noodles in Kolkata so my search for an amazing drink starts again! Do you also have any summer special drink? PS: if you ever go to Crazy noodles try the Chocolate Money Bags…I know the name itself is tempting. The taste won’t disappoint you either. its been a long time since i am living Noida, still i dont knw nything abt here. dat drink is wow! please go and try this one!!! Its one of my favorite fun eating joints, I was planning to go there today but didnt get time. Might go there over the weekend. How are you settling in Kol?